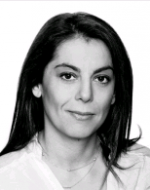 Vera Alexandropoulou is a graduate of the Law Faculty of the University of Athens and has completed postgraduate studies at the University of Heidelberg and Harvard University. She was admitted to the Greek (Piraeus) Bar Association in 1998 and qualified as a UK Solicitor in 2004. Vera has worked for the Harvard Business School, a major shipping law firm in New York, Norton Rose, and is general counsel at the Piraeus Port Authority. She established Alexandropoulou Law Firm in 2005. Vera has acquired a significant experience in sectors including commercial and corporate law, energy, banking and finance and real estate. Vera is involved as Chief Legal Officer with various institutions and associations mainly in the field of energy, business and fund structures. Vera is the author of codification of Greek renewable energy and natural gas legislation, and has published articles on Greek ship finance, Greek listed funds and environmental issues. She is fluent in Greek, English, French, German and Spanish and understands Chinese. Shipping remains a specialized and demanding area of law involving complex legal as well as commercial issues. The firm offers prompt and accurate advice to clients engaged in buying, selling, brokering, shipping and financing energy-related commodities. We have often been engaged in the structuring of finance agreements, encompassing the acquisition or refinancing of new buildings and second-hand ships. Our aim is to provide a full range of high quality legal advice and representation in all shipping related cases. Our expertise covers the legal, regulatory and policy issues relating to the shipping industry. We advise owners, banks and investors οn all aspects of asset financing and leasing transactions for the shipping and offshore industries, including export credit financings, syndicated financings, second hand ship sale and purchase, ship recycling, ship and mortgage registration, charter parties, management and joint venture agreements. We are a dynamic and energetic firm always seeking to achieve results for our clients. We pride ourselves on offering practical and prompt legal advice and services of unparalleled quality. We consider all our clients unique, each with their particular business concerns and needs and we exhibit the same standard of professional commitment to all. With their combined skills and knowledge, the firm’s lawyers are well versed in providing a range of comprehensive legal services. These range from helping to navigate the Greek business environment and regulatory landscape to explaining the complexities of cross-border transactions including tax rules, foreign exchange and regulatory requirements. Drawing upon our unique blend of local, national and international experience, we strive to meet the needs of both established local companies and foreign investors and institutions. We aim to provide a value for money service throughout, offering our clients high quality legal services as a team that continuously broadens its expertise, in order to maintain its esteemed standard of client satisfaction.